Students for a Democratic Society at the University of Minnesota sends a warm thank you to all of you who supported us in this past semester. 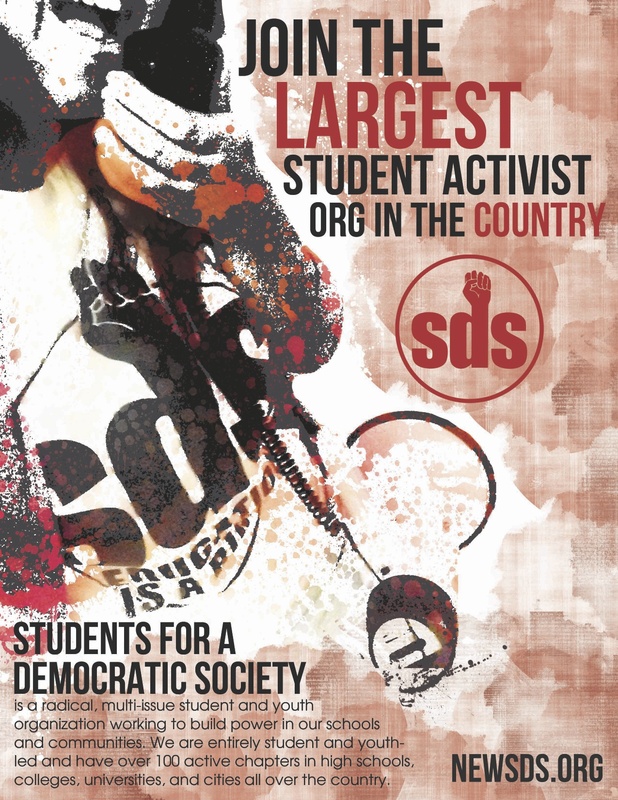 As many know, members of SDS at the University of Minnesota faced student conduct code charges for dropping banners at freshman convocation on September 3rd of 2009. The university administration was clearly threatened by students standing up against unjust university policies and the further corporatization of our universities. In an attempt to shutdown dissent on campus, the university brought charges down on SDS members and supporters. These charges included theft, disorderly conduct, misuse of university facilities, and unauthorized access of a university building. We were charged without proof or evidence from the university that any particular individuals were involved. Furthermore, individual students were threatened by the Office of Student Conduct and Academic Integrity (OSCAI); one student was even told that he may not be able to graduate. The University’s attempts to halt our campaign for student power failed. Supporters internationally flooded the inboxes and voicemails of all the individuals in charge of the reprimands our chapter faced. Students from across the country called in, alumni showed their disapproval, faculty, graduate students, staff, grassroots organizations all demanded that the university drop their outrageous charges against SDS at the U of M. A warm thank you goes out to all who took the time to stand up for free speech and a right to dissent on our campuses! Victoriously, the university did drop the charges filed against five students. The remaining four settled with no mention of the charges on the record, only admitting to disrupting the event. SDS members volunteered to do community service, which OSCAI thought would be an adequate “punishment.” Our outstanding resolution was in no small part the result of the amazing outpouring of support – thank you so very much to all of you who helped put pressure on the university administration. The fight for education rights is just beginning here at the U of M, but the administration now knows we will not be silenced. Resistance and Struggle!